At my new job, I am blessed to have access to free food throughout the day for when my hunger strikes. I've found that, with my new "diet", I get hungry about every hour and a half or so. 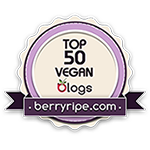 So, one day when I was scrounging around in the cupboard for tasty vegan treats, I came across my now-favorite dried nuts and fruit bar: the Prana Bar. This selection of 6 different almost-raw delights is delicious and filling and such a nice treat. The bars can be a bit expensive, but I tend to make them a priority when I'm shopping now, so I like to save my grocery money to buy a few every time I'm out. My favorites are the Cashew Almond and the Apricot Goji. Yum. Don't get scared off by the ingredients. They are so good, you won't even realize that you're ingesting some pretty interesting stuff. Question of the day: what's a goji?